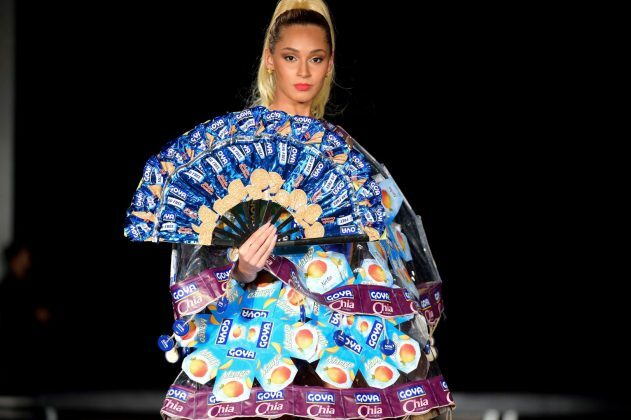 Who said food can’t be fashionable? Last night, students from Miami International University of Art & Design brought the irresistible Latin flair to The Setai Hotel in Miami Beach as they unveiled a one-of-a-kind, high-couture collection of garments made exclusively using products from Goya Foods. Following several months of arduous work and ingenious designing, the aspiring designers used more than 20 cases of canned beans, 50 cans of juice and 100 packages of dried beans, rice and other grains to create the outfits for this fashion show. Goya invited the students to submit design concepts for men’s and women’s wear, offering a $2,250 scholarship for the best creation. This challenge resulted in a stunning collection of 13 garments, which included a trendy high-waisted red dress “hand-beaned” with white beans, and an avant-garde male chain-link-like top made with more than 5,000 guava juice can pull-tabs. 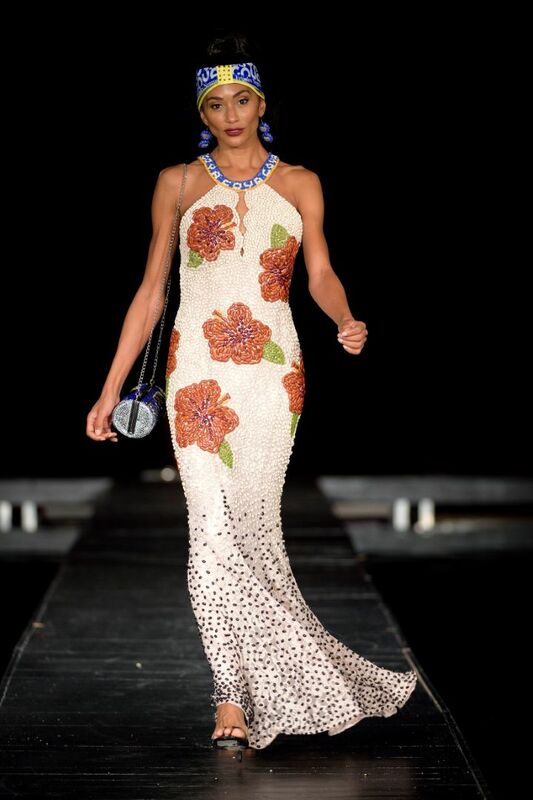 The winning design, by Judith Cabrera, is a breathtaking, figure-fitting floral evening gown made entirely of white, brown and black beans, lentils and split peas. 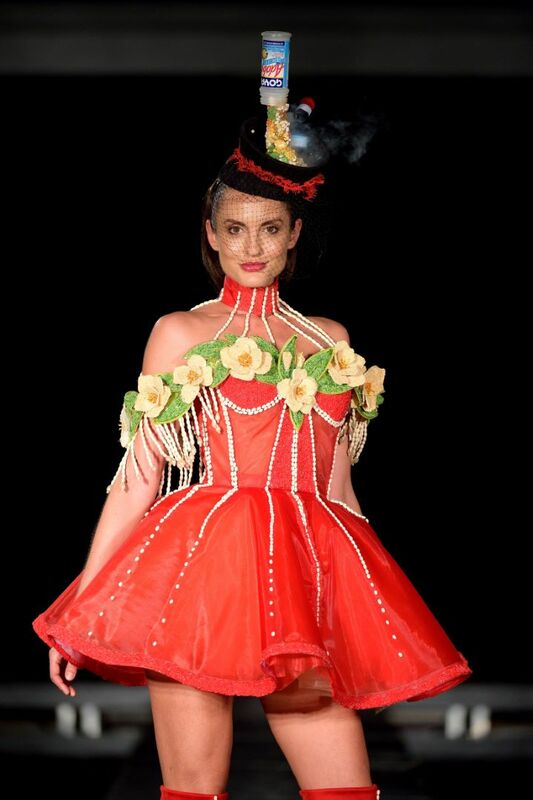 Cabrera accentuated her dress with “Mar Pacifico” flowers (Hibiscus flowers), an homage to her native Cuba, where the flowers are prominent, and the source of her inspiration, which she sees as a representation of female beauty. 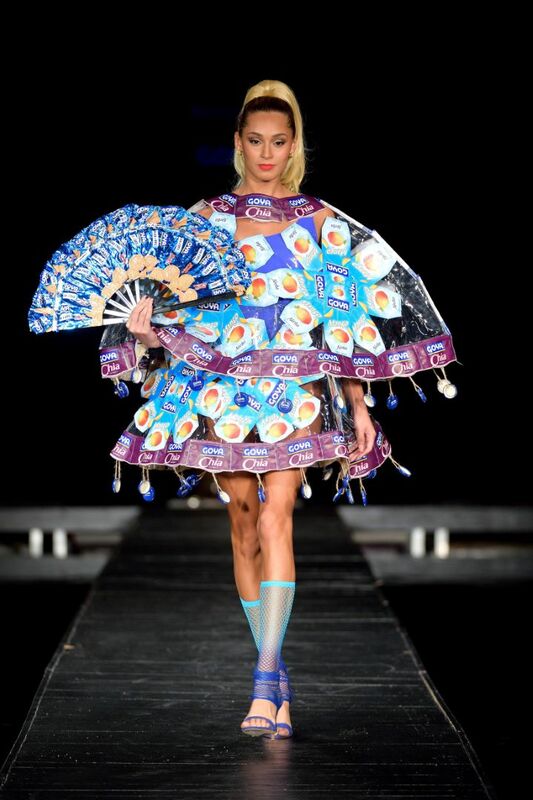 The runway did not produce any food waste, as MIU and Goya donated all leftovers from the packaging and cans to two local charities, Sisters of Charity and Hope for the Homeless, to help feed the homeless and hungry individuals in need in Greater Miami. 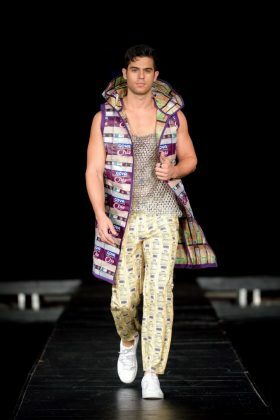 The runway was part of Fashion Group International of South Florida’s Annual Awards Ceremony, honoring MIU alumni Ana Negri, fashion editor at BRICKELL Magazine; and Maria Buccelati, a renowned international model working for names such as Chanel, Valentino, Dolce & Gabbana and Norma Kamali. Today, Buccelati is the CEO of Faith Connexion, a contemporary collection for men and women based in Paris. 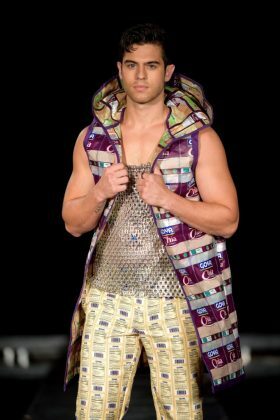 This production was part of Funkshion’s The Future, an event featuring dialogues, education hours and runway shows aiming to enlighten, provoke innovative thinking and inspire others through fashion. For more information on Miami International University of Art & Design, visit us at www.mymiu.com.